A striking picture on a wall can be a room game-changer, it can turn a blank canvas (excuse the pun) of a space into a style statement with a sense of the person living there. We love art on our walls, but have found in the past that buying art has not been the easiest or most accessible. There were limited buying options: either buying uninspiring prints, by unknown 'artists', found in at least four other houses on your street and sold in stacks from warehouse locations (not mentioning any Swedish names!) or, at the other end of the spectrum from an art gallery, with an intimidating atmosphere, wild commission fueled prices and just not terribly convenient. Luckily for our bare walls, the internet has flipped this lacklustre or expensive experience on its head - allowing artists to come to the fore, collaborating with brands and selling their unique pieces via marketplaces such as Etsy. Air Printed Canvas, from £183. Ant puts a quirky spin on well-known portraits, turning them into wacky classics which have become a favourite in the office for spicing up a more classical backdrop. 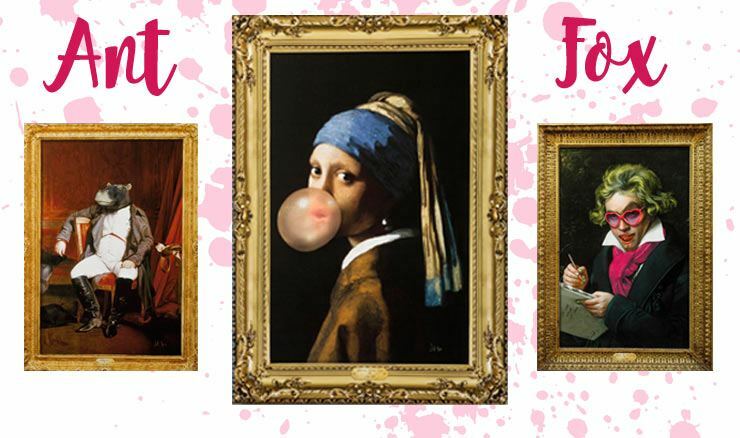 From a cheeky bubble-gum chewing Girl with The Pearl Earring to a vamped up Beethoven donning eccentric pink sunnies - these are a sure-fire way to start up a conversation. Each of Ant's hand-chosen pieces is completed by a printed gilt frame which is just another kooky element of these eye-catching artworks. From left: Hippoleon, Girl with the Pearl Bubble & Ludwig Vamp Beethoven - all £220. Luke is a world-renowned photographer, with a stunning Abandoned Fashion Series from which we have chosen three exquisite pieces. Luke's pieces have a sense of romance and etherealism, a perfect blend of beauty and elegance with heavenly abandoned architecture. We dream endlessly of a pure white bedroom decked with Luke's seraphic photographs. Rebirth from Luke Woodford's Abandoned Fashion Series, from £199. The only caveat art lovers scouring the internet have found (us included) is that you find your fantastic piece of art, it arrives and you rip open the packaging excitedly, only to find that it's not going to be on your wall anytime soon, as all too often it is unframed. Framing, for the uninitiated can be tricky, stressful, overwhelming and expensive. In the same vein as lampshades with lamps and good pots with plants, framing art can quite often be more expensive than the art itself! We've used our experience to ensure that none of our art buying customers are disappointed when their fabulous new wall decoration arrives. All the fab pieces in our art range either come already framed, with a printed ornate frame to suit the piece or on a chunky box canvas - all ready to be hung within minutes of arriving at your door! Now all that's left to do is pick your fave pic! 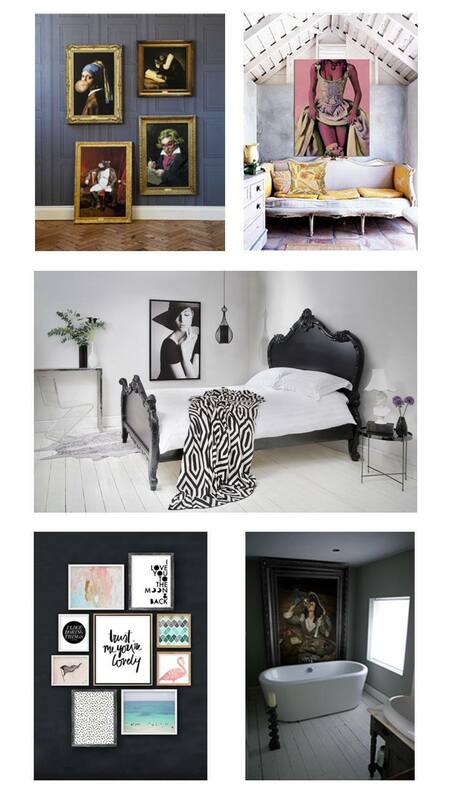 See our full Wall Art collection HERE.